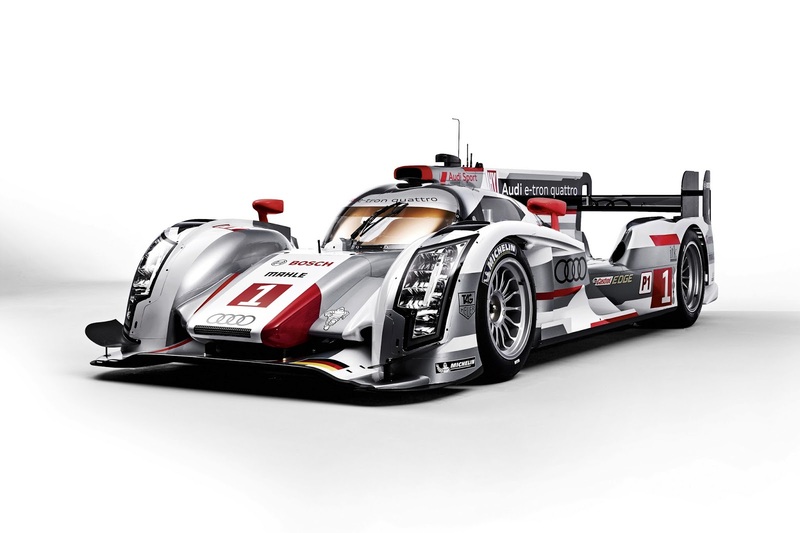 Audi is participating in testing of its R18 e-Tron Quattro today to prepare for the upcoming Le Mans 24 Hours. This preliminary session is critical as it represents the sole opportunity for on-track testing prior to the legendary endurance race, which will commence June 22nd. A trio of R18 e-Tron Quattro diesel-eclectic hybrid prototypes, including one long-tail version, are testing alongside 58 other cars invited to the single-day session in France. Audi says the session is crucial for re-acclimating drivers to the intricate 8.4-mile track, as well as logging aerodynamics data and gathering tire information for Michelin, who supplies rubber for the works team. Team Joest, who have been tied-in with Audi Sport for over a decade, say they also want to keep a close eye on rival Toyota’s TS030 progress during the test. Le Mans 24 is motorsport’s oldest endurance race and the third event on the 2013 World Endurance Racing calendar. Running in the top-level LMP1 class, the R18 e-Tron Quattro has been nothing short of magic this season registering decisive victories in the first two rounds, including a dominating one-two-three photo finish at Spa 6 Hours in Belgium on May 4th. Audi is no stranger to spraying champagne on the Le Mans podium, having captured eleven victories at Circuit de la Sarthe since 1999. The R18 e-Tron Quattro will be driven by 2011 & 2012 Le Mans winners Marcel Fässler, André Lotterer and Benoît Tréluyer, as well veteran Danish driver Tom Kristensen, who has eight-time Le Mans victories on his resume.